⚠ California Proposition 65 WARNING: This product can expose you to chemicals including lead, which is known to the State of California to cause cancer and reproductive harm. For more information go to www.P65Warnings.ca.gov. 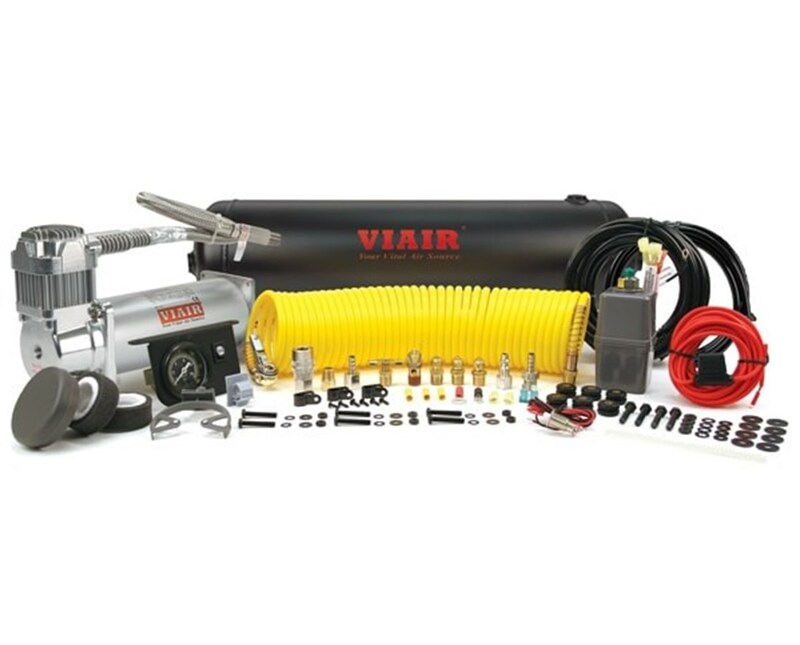 Designed to be installed and mounted onto the vehicle, the Viair Constant Duty OnBoard Air System includes all parts needed for installation of onboard air solution for tire maintenance and small pneumatic tools. 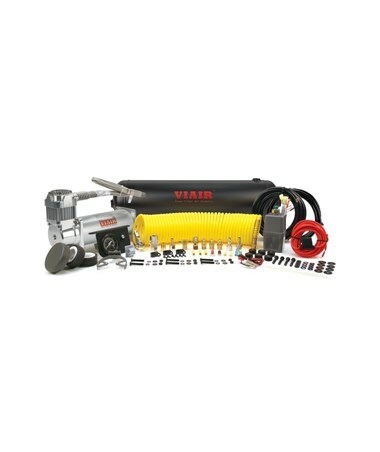 It comes with a long-running Viair 450C air compressor and a 2.5-gallon air tank. It boasts a maximum working pressure of 150 PSI and 100% duty cycle at 100 PSI. The Viair Constant Duty OnBoard Air System offers uninterrupted use for up to an hour without needing to rest. This extremely reliable and sophisticated onboard air system provides two and a half gallons of air, perfect for load leveling and tire filling. This compressor is equipped with a 12-volts permanent magnetic motor with 23 amps maximum current consumption. It also features an automatic thermal overload protector which prevents overheating. The Viair Constant Duty OnBoard Air System comes complete with a dash panel gauge to monitor the pressure in the 2.5-gallon air tank. It also comes with a pressure switch with a relay that turns on the compressor at 110 PSI and off at 145 PSI. For trouble-free service life, this compressor comes with a permanently lubricated, maintenance-free motor. It is rated with an IP67 ingress protection rating and covered by a 1-year manufacturer’s warranty.